You want your children to be raised with the right values and good manners. When someone gives them something, the kid should thank them. Use this holiday season to instill that habit with a simple rule: use a gift only after a thank you. Redditor Pockaleelee's little law in his home isn't rocket science, but it's a simple and effective parenting tip. 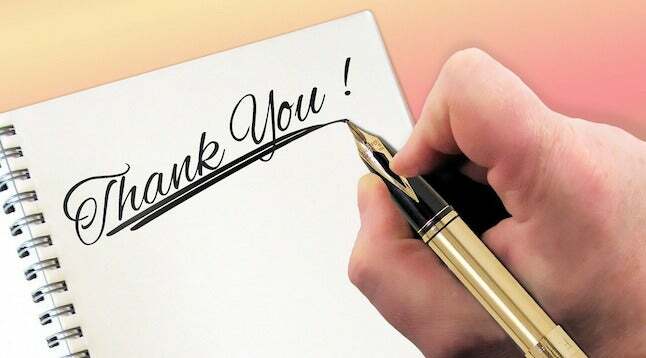 Train your children to write a Thank-You letter before they cash a check or spend money given as a gift. I have always made my son do this, and it is now almost automatic for him. If he gets a monetary gift for Christmas or birthday, he gets a card out in the email right away. You could even substitute it with an email, a phone call, or whatever communication you think relevant — the idea is to express that gratitude before using the gift. Or, You know, Just have them say thanks when they are given the gift like any normal person. This isn't a wedding mate.